OurPlace is a mobile learning platform, designed to support communities in creating and sharing interactive learning activities about the places they care most about. Designed to allow anyone to create, share and complete fun learning activities, OurPlace uses the broad feature set offered by modern smartphones as an outdoor-learning toolkit. 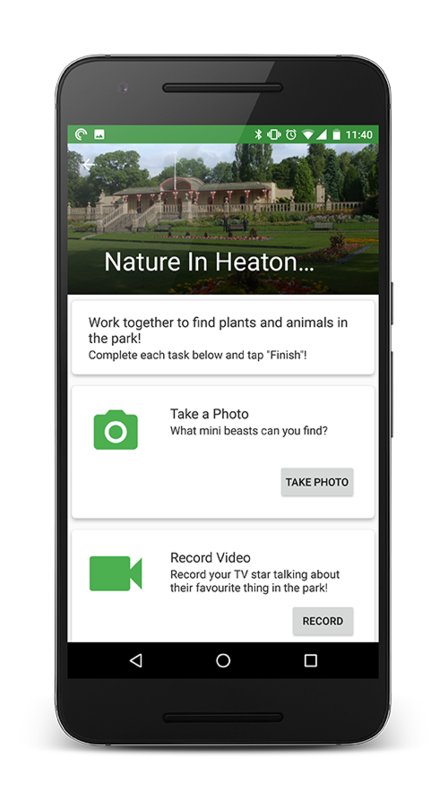 Offering a wide number of interactions such as photography, video, audio recording, map marking, drawing and location hunting, the app makes it easy to create playful and creative learning activities. Once uploaded, the learners' images, video and audio recordings created during the activities are then available for use via the website as further learning resources. OurPlace offers a large variety of tools to choose from when creating your learning activites. Hover over each tool's icon for more information. OurPlace lets you create learning activities using a number of different task types. Combine them as you see fit!